Earlier this spring I photographed spring blossoms off of Storrow Drive in Brighton, Massachusetts. While running errands I noticed the tree blossoms in full bloom and was inspired to go back later that day. It was somewhat of a cloudy to sunny day that would make for great floral photography. Upon arrival I started exploring the scenery but wasn’t able to compose a intriguing photograph of the overall scenery, there was either Storrow Drive in the picture or the path underneath the blooming trees distracted from the composition. I therefore decided to focus on more intimate Close Up Photography and started looking around for suitable subjects. There were plenty of them and I didn’t need to look long. 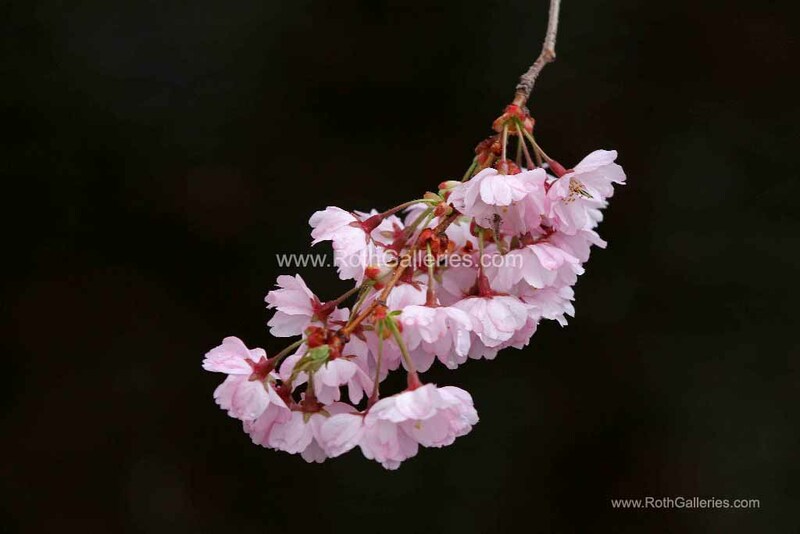 In the first picture I isolate a spring blossom against other blooms in the background. To do so, I choose a large aperture setting and combined with a long telephoto lens focal length provided me with the desired shallow Depth of Field that stirs most of the attention on the blossom of the branch. Aperture in this first photograph was f/5.6 providing an exposure time of 1/25 of a second at ISO400. In the second photography image I isolated a blooming tree branch lit by sunlight against a dark background in the shadows. This ensured a short exposure time and even darkened the backdrop further thereby beautifully isolating the pink floral and make the colors truly pop. An aperture of f/5.6 provided a shutter speed of 1/15 of second at ISO400. 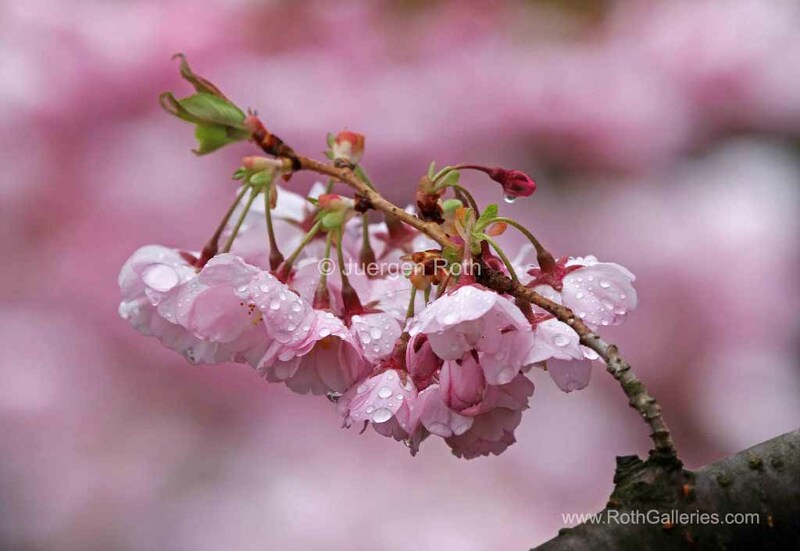 During routine post processing I removed dust spots, minimally adjusted contrast, lighting and color saturation before sharpening the final photography image of “Spring Blossom” and “Pink Blossom with Raindrops”.